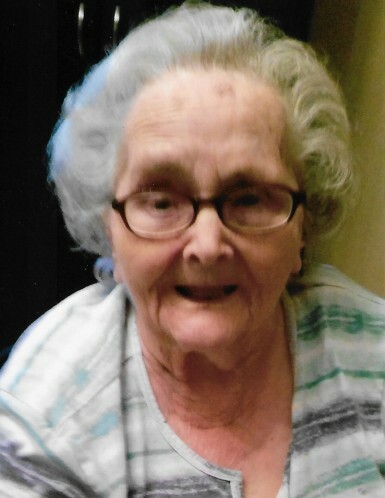 Rosa Belle Morton Cash, 87, of Kinston passed away on Thursday, November 29, 2018 at UNC Lenoir Health Care. She was a loving mother, grandmother and great grandmother. She is preceded in death by her parents Owen and Mary Morton; daughter, Barbara Quinn; son, Robert Cash and wife Pat, Jr.; sisters, Mary Tilghman and Eva Moore; brother, Richard Morton. Rosa is survived by her daughter, Shirley Whitley and husband Dennis of Kinston; sons, Leon Cash and wife Frances of Kinston and J.W. Cash of Snow Hill; son-in-law, Terry Quinn of Fayetteville; grandchildren, Kevin Whitley, Lamanda Eason and husband Daniel, Michael Whitley, Chassity Hartsell and husband Jason, Ryan Cash and wife Amanda, Bryan Cash and wife Casey, Santana Jones and husband Austin, Stephanie Barnett and husband David, Charles Whaley and wife Danielle, Trey Cash and wife Abby, W.G. Cash and wife Shanna, Alan Cash and wife Lisa; 19 Great Grandchildren. Funeral service will be held 6:00 p.m. Friday, November 30, 2018 at Tabernacle Free Will Baptist Church with Reverend Johnny Pike officiating. Visitation will be held following the funeral service and other times at the home of Leon and Frances Cash. Graveside service will be held 11:00 a.m. Saturday, December 1, 2018 at Westview Cemetery.